Have been in the home solutions industry for over 8 years, building industry for over 10 years and Insulation for 5 years. CHECK OUT THIS WEEKS WEBSITE ONLY SPECIAL OFFERS !!!!!!!!!! We supply and install Mitsubishi ventilation, Heating and heat transfer systems. Bathroom and Kitchen extractor fans and vent. 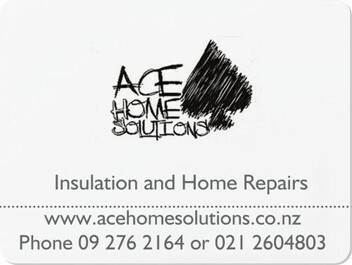 Insulation inspections to NZ standards and certificate avaliable. Ceiling, under floor and wall insulation we also re fix a range of new gib for added warmth and to reduce noise. Retro fit and new build insulation sales and install to a high quality. We replace-refurbish doors, windows, stairs, decks ,guttering and fences.bathroom refits. Remove old fireplaces. Check out our website for all our services and great insulation and ventilation products. Great Gold Card Discounts apply. For all of your home maintenance and insulation needs. Handyman services can fix it or will get it working for you again. Honest reliable and at reasonable rates. Check out our website for Customers Testimonies. Stop pulling your hair out over those big or small jobs that you don’t have the time to fix. If we can’t fix it we will direct you on to the right person that can. Contact us today for a solution to your problem. Ray did a fantastic job providing ceiling and underfloor insulation. Recommended to all. Thank you! This company deserves a double thumbs up, Ray and Denise did a perfect job in my bathroom. Kept to their word and time frame, will use them again. Recommend to all. We used Ray and Denise to refurbish our run down bathroom at our rental property. Ray was very good at transforming the bathroom into a new stunning bathroom, and was always helpful and in contact with us through the project. There were a few issues, but Ray got them sorted. Cheers for the great job. Was very clean worker cleared the site after him and took rubbish away.Rates were good. Also good time keeper. Fantastic job done!! Fast reply and great communication throughout. Cheap rates, highly commend to all.